As a trail for walking, running, and bicycling, the Minnesota River Greenway offers a scenic route that passes through diverse landscapes, often wild and urban at the same time. There are clues in these landscapes that open surprising perspectives into the recent and distant past, but the important stories of the Lower Minnesota River Valley remain largely hidden. By knowing more about the Greenway’s historical and cultural legacy, visitors can deepen their relationships with this landscape and discover even more in these resources to value and preserve. This plan describes a comprehensive set of interpretive experiences that promise to transform a trail through woods and marshlands into a trail through the history, culture, and ever-changing ecosystems. The plan is organized around three kinds of interpretive features: trail wide signage and interpretation, either interpretive nodes, and park-like destinations. With each feature, the objective is to encourage pause and reflection. The 17-mile trail travels through five municipalities, Fort Snelling State Park and the Minnesota Valley National Wildlife Refuge. This plan builds on the 2012 Dakota County Minnesota River Greenway Master Plan. Current and planned investment in the MN River Valley position the area to become one of the best trail-based recreation destinations in the Twin Cities Metropolitan Area. 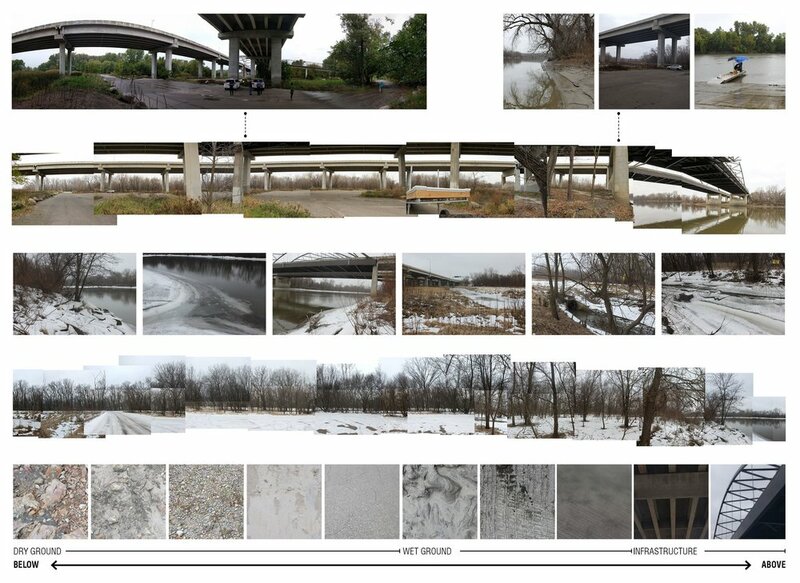 The project team assembled a substantial set of possible themes and stories for place-based interpretive nodes. THE LAND REMEMBERS, an overarching interpretive theme for the Trail, emerged from the wide-ranging stories and content. Evocative and encompassing, the Land Remembers is supported by subthemes (Dakota Homeland, Trails Through Time, Bridging and Crossing, Working River, Ecosystems of the River, Geological Time and Communities Past and Present) to bring coherence to the great physical variety along the Trail. Together this set of themes informs an interpretive approach that is grounded with stories, features, and views that reveal the sites’ significance. 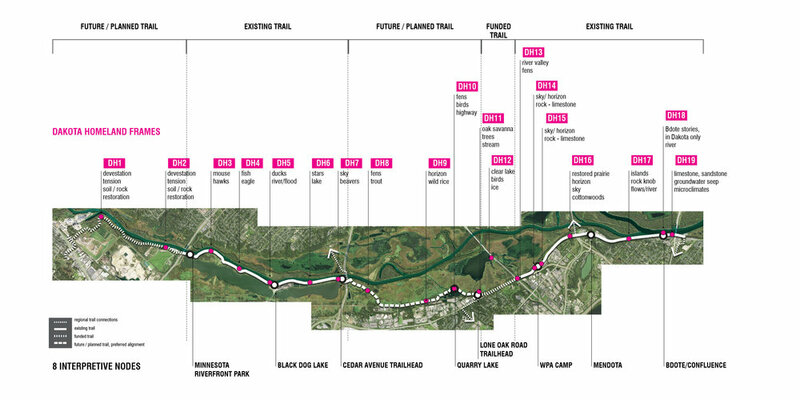 Eight interpretive sites, along with trail-wide interpretation spanning the entire Minnesota River Regional Trail’s length were identified as part of an initial phase of planning. Along with trail-user accessibility, the nodes offer substantial and engaging cultural and historical opportunities for interpreting stories and content and engaging trail users.